Glucose is a type of sugar formed inside the body during the process of digestion. When carbohydrates are consumed, the body breaks it down into molecules, a specific type of sugar. Glucose is the body’s main form of energy; it supplies the body with the fuel it needs to function. Since carbohydrate consumption is directly responsible for glucose production, diets that eliminate carbohydrates can be considered glucose free diets. Although these diets may seem appealing, certain dangers do exist. Sugar and refined white flours are often considered empty calories. During the refining process, all of the nutrients are stripped away from the substances. By the time they reach our foods, they have essentially no nutritional value. When too many of these foods are consumed, the diet becomes deficient in vitamins and minerals. To make up for this deficiency, the beneficial substances are taken from the body’s reserves. As a result, the body’s organs, bones, muscles and immune system become weaker. Some carbohydrate food are broken down into glucose very quickly and are considered “high glucose foods.” These high-glucose foods include foods made with white sugar or refined white flour, such as candy, soft drinks, pastries, pasta, potatoes, sweetened fruit juices and sugary cereals. These foods provide the body with a quick spike in energy, followed rapidly by an energy decline. Other foods, however, are broken down into glucose very slowly and are considered “low glucose foods.” When consumed, these foods provide the body with a steady supply of energy throughout the day. Low-glucose foods include beans, nuts, seeds and a wide variety of vegetables, such as cucumber, broccoli, cabbage, artichokes, asparagus and leafy greens. Since the body relies on glucose for energy, a glucose free or carbohydrate free diet can actually be quite dangerous. When glucose levels are deficient, the body goes into a state of ketosis. During the state, the body breaks down fat stores into ketone bodies for energy. Although this fat-breakdown may seem appealing to someone trying to lose weight, the process is dangerous. As ketone bodies accumulate, they make the blood more acidic and cause damage to internal organs. 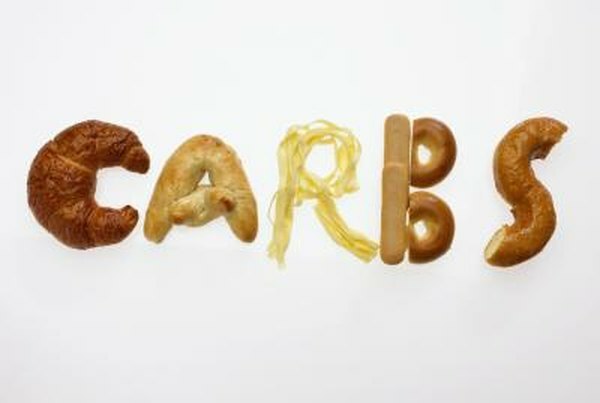 Speak with a physician before initiating a diet that severely limits carbohydrates or glucose. Your doctor will likely recommend monitoring your ketone levels regularly to ensure safety. Rather than eliminating all carbohydrates from the body, simply eliminate the high-glycemic carbohydrate foods with empty calories and little nutrition. Avoid processed and prepackaged foods, which generally contain high amounts of refined sugar. When eating bread or pasta, opt for whole-grain options made with unrefined whole wheat flour. If you are missing the sweet flavors of candy, indulge in the healthy sugars contained in fresh fruit.